Present state: Demolished - there is no evidence of the halt but the crossing keeps still stands and is unaltered. Notes: The exact position of Hatfield Hyde Halt is uncertain. The 1" OS map below shows the word 'halt' on the west side of the road and although the crossing keepers house was on the west side of the road, the halt itself could have been on either side. 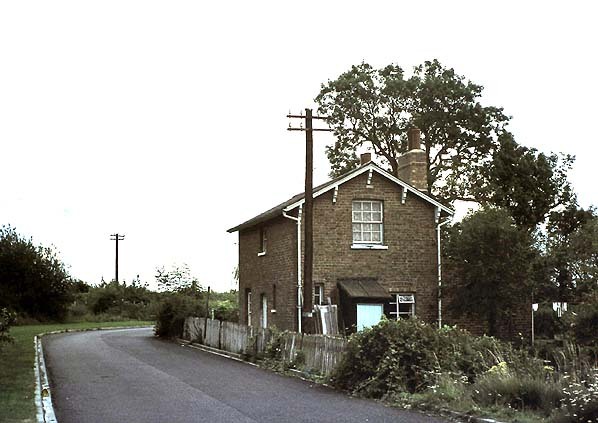 There are no known photographs of the halt or any information about it although it is assumed to be of similar construction to Attimore Hall Halt. 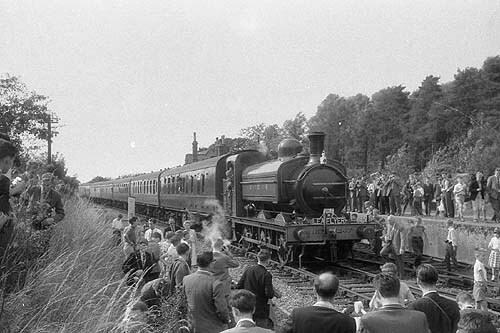 Note that the crossing is actually called Hollywell Hyde (this name predates the halt). Hatfield Hyde village is nearly a mile south west of the crossing. served is now a footpath. 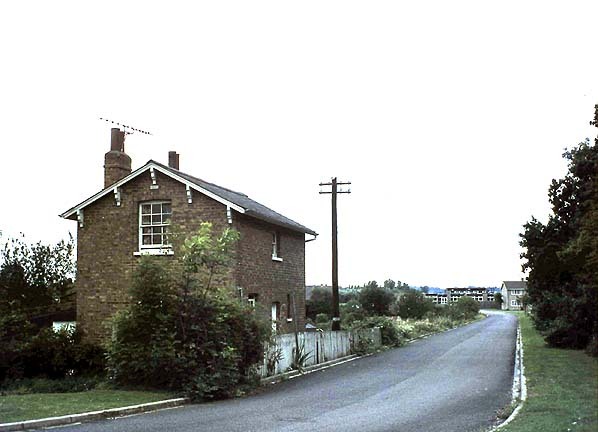 Looking north west at the site of Hatfield Hyde Halt in 1974. The road follows the track bed. 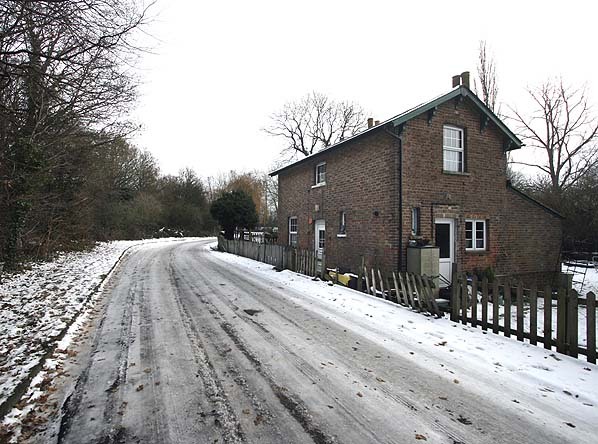 The track that was served by the crossing passed in front of the house in the foreground, it is now a footpath. 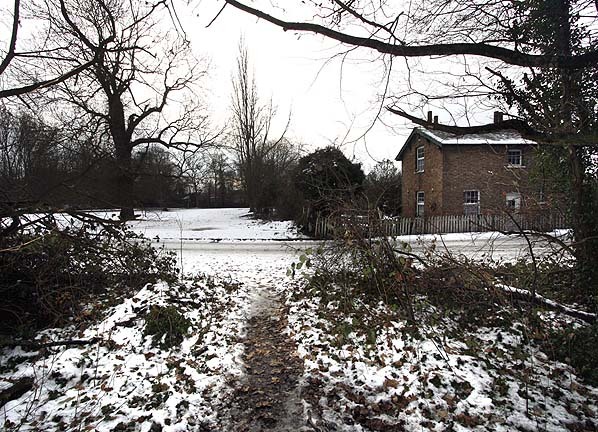 The site of Hatfield Hyde Halt looking south east in December 2010. Looking south west towards the site of Hollywellhyde crossing in December 2010. The track went across the picture from left to right passing in front of the crossing keepers house. It is not know which side of the crossing Hatfield Hyde Halt was sited.